The most popular analysis tools, for hundreds of years and counting. Fibonacci Pattern analysis can require a great deal of patience and calculating. Trade Navigator identifies and calculates the patterns, eliminating the guess work and saving hours of time spent trying to determine whether a current chart pattern adheres to the Fibonacci Patterns. With a simple click on a market high point or low point, the Fibonacci Clusters will automatically plot everything you need from that point on the chart. The 4 Fibonacci tools included in this library help you to reveal where all of the ratios line up into clusters of anticipated price points on the chart. Automatically find support and resistance points. Save time analyzing the markets, Trade Navigator identifies and calculates patterns for you. 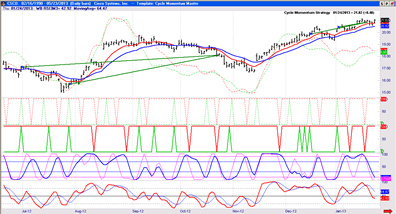 Anticipate where the market is moving through the use of Fibonacci formulas. 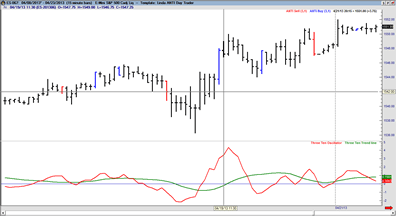 Discover where Fibonacci ratios line up into clusters on the chart with just a few clicks. Easy to modify settings for customized analysis. Get instant access to 2 new Fibonacci drawing tools. Use this advanced tool for finding confluence of price and time extensions and retracements, ideal for finding support and resistance points in any market under any time frame. Fibonacci Clusters help to determine the probability of a trend reversal for each price level. 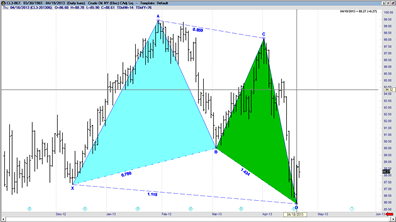 Gartley is a leading indicator, which displays where and when the markets will turn. Once drawn, it will show convergence of a retracement and extension level at the D point, thus indicating a higher probability pattern. Gartley Butterfly drawing tools serve as a very powerful visual trading aid including both price and time. Dynamic support and resistance levels are key for trading any market, and on any timeframe. This tool allows you to find these key levels and more with custom parallels and time intervals.